These days technology moves faster than the speed of light, and the digital world is no exception. There were days where using the phone and the computer at the same time was laughable. Styles and formats are ever changing. It’s no wonder that when you have your own website whether it be for personal or business use you often wonder when you should update or redesign your website. The best option when considering website redesign is to be proactive and stay as current as possible. This is vital to maintaining an excellent website that promotes ease of use for your client base. Redesigning your website is not as enormous as a feat as it may sound. Here we’ll show you the quickest and easiest route to help you redesign your website. Common question: Why should I redesign my website? The two main focuses when considering redesigning your website should be traffic and conversions. Traffic is the number of visitors to your website and conversions is essentially the process in converting visitors to clients or customers. While it may seem that design doesn’t hold any power over those two factors, it does. When you shop in real life, vendors work hard to make displays and ads visually appealing and attract customers to not only browse but buy. The online world is no different. Visual representation on your website should attract the eye with color, design and encourage visitors to stay, browse and grasp your concept. In addition, updating the design of your website can assist in the search engine optimization or SEO. SEO is updated and changed every few years especially when new technology is released. The way people search is changing as well; the latest being voice generated searches. This affects SEO as well. Common question: Does design truly make a difference? The short answer is YES, yes design really does make a difference. Even when your website is performing well, it is a good idea to redesign and consider the possibility of your website performing even better. While straying away from what is already proven to work is scary, you should always utilize user testing to ensure you are doing what is best for your website. A/B testing is a great choice when deciding which group responds to one version or another. If group A has better results than group B, then it is clear you should stay with the designs and features that group A was offered. This allows you to continue to work and perfect the design, changing and updating as needed to ensure that you find the best option for the success of your website. Not surprisingly humans have a tendency to be very predictable in their behavior, so from that, we’re able to establish some basic tactics to follow when designing or redesigning a website. For example, the length of text, when and where to insert graphics, and structuring all the many different aspects of a website. Common question: When is the right time to redesign your website? In a perfect world, you should update or redesign your website about every 3-4 years, depending on the ever-changing world around us and the needs of your website. This follows SEO and design changes to keep your website looking current. However, we understand that many individuals and companies don’t have the resources in order to keep their website up to date or follow the ever-changing world of technology. Below you’ll find a checklist to help you maintain your website with ease and without breaking the bank. 1. Is your technology out of date? Somethings to consider is if your site is mobile responsive because the way people browse the internet is ever changing as well. So with that being said your website must be able to translate onto different devices across the board. 2. How does your template restrict your future goals for your website? Templates can be a hassle but also a blessing. It’s important to know when to break free from your templated website for something with more space that can host more apps and provide better graphics and an open door for creativity. 3. What market are you targeting? Has it changed? If so then redesigning your website should reflect a new look to reflect the new market you want to attract. Different demographics have different visual needs, text tones, and search keywords. Being in tune to your market is vital. 4. Are you rebranding? Is your brand changing? Your website should be a reflection of your brand’s personality. Be careful when changing even one thing as this might require an entire redesign for consistency. 5. How much time are you able to put into updating your website? The rise of content management sites such as WordPress has opened the door for people to be able to control what is on their website, and in turn sites that regularly update often find themselves ranked higher in search engines. 6. Are you current with modern design trends? Beauty is skin deep, but your look does attract your traffic. Sometimes a redesign is just a sprucing up. 7. Are you meeting your business goals? If your website isn’t assisting in growing your business than you should consider redesigning your website. Now that we’ve covered some essential areas to help you keep your website up to date you need to know what type of redesign you’ll need. Know your goals and what you’re working with regarding budget and time. Periodic updates: Recommended every few years this is a standard tune-up for your website by keeping your designs and SEO updated while also reflecting your brand personality. Strategic refocusing: This focuses on the changes that have occurred within your brand or company so that you can showcase this to your market. Data- or customer-based redesigns: This is driven by the feedback received from customers that you utilize to make your website more comfortable to use and drive your traffic. This is where user testing comes into play as a way to keep your ear to the street. 1. Draft goals: What do you hope to accomplish? Make sure to consider all aspects of your business and business needs including your targeted market as well as considering using surveys, heat maps, and user testing. 2. Consider your hiring budget: You can have in-house web designers on staff, or you could consider design agencies where you simply let them do the work however this is the most expensive option. For a less expensive choice, there are freelance designers which allow you more control over the type of designer and how much you’re willing to pay. In addition, you could also hold a design contest which involves a little bit more work on your end but allows you to get a tailor-made website by choosing from many options. 3. The Design process: This is the easy part! Let your designer do the work and check in often but not too often. If you see something wrong, speak on it and be sure to give feedback throughout the process. Open communication is key. Hopefully, by now you don’t feel as intimidated by the redesign process now and are confident in taking the correct steps towards making your website successful. 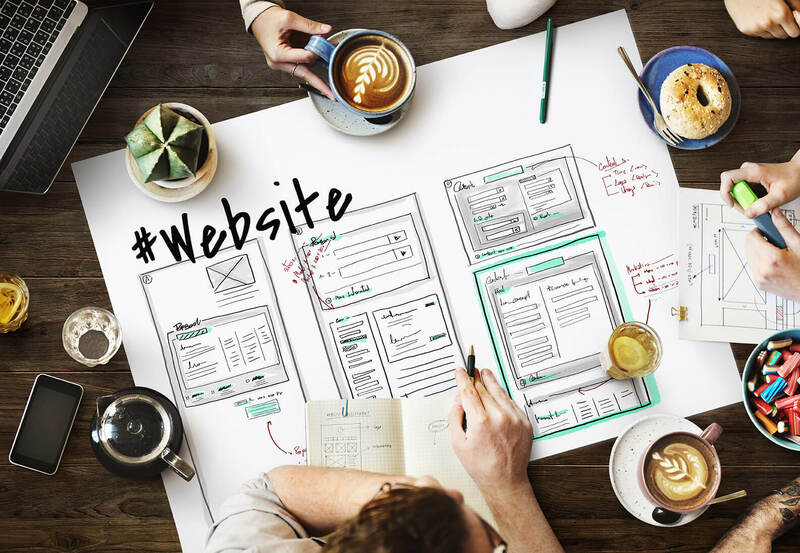 Redesigning your website can have a significant impact on how your website drives traffic, conversions and your client base. Fresh, clean and new is the way to go. The Debate Over Paw Paw - Offensive Outdated Term or School Tradition?